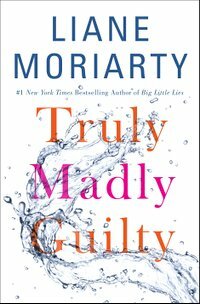 Review: I love Moriarty's narrative style and the readability of her books.In this installment, something terrible has happened at a bbq and we follow several narratives of characters leading up to and after the big event. I didn't love any of the characters and I build up the 'event' in my head so much that when we finally find out what happened...I was underwhelmed. Overall, I liked this but it wasn't my favorite.